SQL Prompt implements a static code analysis rule, ST001, which will check code automatically, during development and testing work, for occurrences of non-ANSI standard JOIN syntax. The “old style” Microsoft/Sybase JOIN style for SQL, which uses the =* and *= syntax, has been deprecated and is no longer used. Queries that use this syntax will fail when the database engine level is 10 (SQL Server 2008) or later (compatibility level 100). The ANSI-89 table citation list (FROM tableA, tableB) is still ISO standard for INNER JOINs only. Neither of these styles are worth using. It is always better to specify the type of join you require, INNER, LEFT OUTER, RIGHT OUTER, FULL OUTER and CROSS, which has been standard since ANSI SQL-92 was published. While you can choose any supported JOIN style, without affecting the query plan used by SQL Server, using the ANSI-standard syntax will make your code easier to understand, more consistent, and portable to other relational database systems. When SQL Server forked from Sybase, it inherited its old non-standard Transact-SQL syntax for joins, which included the = and = syntax, for left and right outer joins, respectively. The left outer join operator, =, selected from the first table (the “outer member” of the outer join) all rows that met the statement’s restrictions. 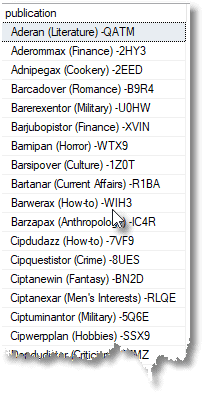 The second table (“inner member”) generated values only if there is a match on the join condition for that row; otherwise it provided null values. Conversely, for the right outer join operator, =, the second table became the “outer member”, from which all rows were selected that met the criteria. There were restrictions to this syntax, even when they were supported. You couldn’t include a Transact-SQL outer join in a HAVING clause, and you couldn’t do an additional INNER JOIN in the same expression as an old-style outer join. In addition, the outer join syntax (= or =) does not always give the correct results, sometimes using a cross join when an outer join is specified. In any event, this syntax was deprecated in SQL Server 2005 onwards, and stopped working is SQL Server 2008. 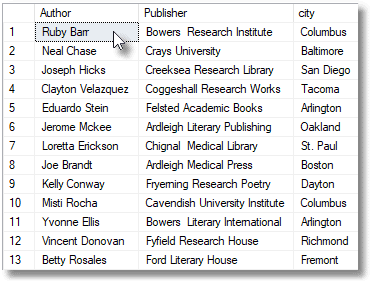 The intent of Listing 1, which queries the pubs database, is to return all titles that don’t have a corresponding author. If you still have queries that use this syntax, you’ll have to rewrite them to use the ANSI standard syntax, shown in Listing 2, before upgrading beyond SQL Server 2012, because the compatibility level 90 is no longer supported. This table citation syntax for inner joins is part of the ANSI standard and so still supported. Listing 3 uses it, and will return all authors that live in the same city as their publisher. Listing 4 shows the same code using the ANSI-92 standard, where we make the join types explicit. Both give the same result, with identical execution plans. However, it is broadly accepted that the old-style ‘citation list’ inner join syntax is much harder to read and understand, and therefore more error prone than the newer syntax. In any case, there is no cause for regret at leaving behind this old style syntax, even though it is still supported. How, for example, would you determine the percentage of authors that live in different cities from their publishers, using the old style join syntax? It would be a complex-looking query using brackets and subqueries. With the newer syntax, it is simple to write, simple to understand its logic. There are no advantages to leaving old-style join syntax in legacy code. If you spot this code smell, it will improve and simplify the code to rewrite the statements to use ANSI-standard join syntax. SQL Prompt code analysis, introduced in v9.2, provides a quick and easy way to assess the overall health and quality of your SQL scripts. It will help the team prevent technical debt from entering the code base, to remove it from existing code during code reviews, and to ensure that the released code conforms to the team's defined coding standards. Thanks for publishing these helpful tips, and for writing in plain English so even I can understand them! Unfortunately, Listings #1 and #2 share the exact same code. Probably a bad copy-paste? What’s the equivalent of SQL ANSI 92 Join Syntax for SQL ANSI 89 Join Syntax *= and =*, tell me?